The 13th Workshop on Compression, Text and Algorithms (WCTA 2018) was held in Peru (Lima) on October 12th, 2018, as a workshop of the conference SPIRE 2018. 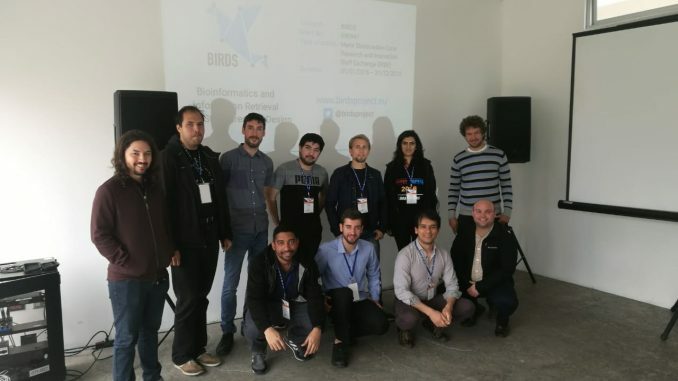 It was organized by José Fuentes Sepúlveda (BIRDS researcher at UCHILE), Paweł Gawrychowski and Nicola Prezza (lecturer at the Summer School Course on Compact Data Structures). There were two invited speakers from the research field (Jérémy Barbay and Simon Gog, which is member of BIRDS’ external advisory board), and 9 more talks from other researchers. 10 students from 7 different institutions were awarded with a student travel grant to cover travel and accommodation.